The Samsung scandal played a prominent role in this weeks’ top ten after the South Korean firm was delisted from the South Korean stock exchange over accounting violations. Equally Brexit chaos was central to this weeks’ news after a deal was revealed by Theresa May. The ongoing disruption has seen the resignation of a number of prominent players as backbench Brexiteer Jacob Rees Mogg called for a vote of no-confidence in Theresa May. Our appointments section played a central role as well as pharma veterans Dave Tudor and Michael Boyd took on new roles. However this weeks’ top story covered NICE’s decision not to approve AstraZeneca’s cancer drug Olaparib on the basis that it is too expensive. 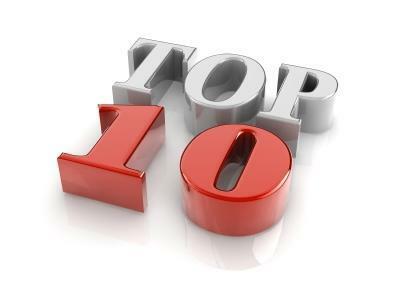 Check out this weeks’ top ten at Pharmafile.com! South Korean firm Samsung BioLogics has been delisted from the South Korean stock exchange. Eisai has revealed that its multireceptor Tyrosine Kinase Inhibitor Lenvima (lenvatinib) has been recommended by NICE, meaning it can now be used routinely on the NHS in England and Wales for the first-line treatment of untreated, advanced, unresectable hepatocellular carcinoma (HCC). Germany’s health minister Jens Spahn has called for faster uptake of biosimilars in an effort to cut cost of healthcare in Germany. Shares in Korean firm Samsung BioLogics plummeted this week, falling by as much as 20% on Monday, after the South Korean Securities and Futures Commission (SFC) indicated that it will issue a ruling on the 14th of November over the company’s alleged violation of accounting rules. The state of Alabama’s biggest insurer Blue Cross and Blue Shield will no long cover opioid painkiller OxyContin. The decision has come in response to the thousands of overdose deaths, caused by the drug each year. Gilead have appointed Pfizer and AbbVie veteran Michael Boyd as VP of government affairs and policy strategies. GlaxoSmithKline veteran, Dave Tudor, is set to take on the role of Managing Director of the Medicines Manufacturing Innovation Centre (MMIC), a new manufacturing centre designed to increase the speed and cost effectiveness of the process through which medicines are brought to market. The UK government’s request that pharmaceutical companies stockpile an additional six weeks’ worth of medicine, in preparation for a no-deal Brexit, is a waste of time and money, representatives for the Welsh pharmaceutical industry have said. The Association of the British Pharmaceutical Industry (ABPI) has responded to Theresa May’s Brexit deal, after the government announced a 585 page draft withdrawal agreement has been agreed to by both the United Kingdom and the European Union. Britain’s cost effectiveness body the National Institute of Health and Care Excellence (NICE) has chosen not to recommend AstraZeneca’s Olaparib for women with advanced ovarian cancer who had previously responded to platinum chemotherapy for six months or longer.